Missouri is a U.S. state located in the Midwestern United States, bordered by Iowa, Illinois, Kentucky, Tennessee, Arkansas, Oklahoma, Kansas and Nebraska. Missouri is the 21st most extensive and the 18th most populous of the 50 United States. Missouri comprises 114 counties and the independent city of St. Louis. The four largest urban areas are St. Louis, Kansas City, Springfield, and Columbia. Missouri’s capital is Jefferson City. Missouri’s major industries include transportation, food processing, and chemicals. 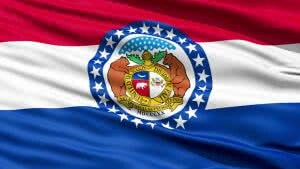 Missouri requires corporations to have names that can’t be confused with any existing entity or reserved names. Company Express will research your company name to make sure it meets Missouri’s standards. Minimum number: Minimum one director is required, as well as a president and secretary, who may be the same person. Time to file: Annual registration report has to be filed by the end of the month that marks the anniversary of incorporation. Missouri requires Limited Liability Companies to have names that can’t be confused with any existing entity names. Company Express will research your company name to make sure it meets Missouri’s standards. Turnaround time: About 3-5 business days. Minimum number: Minimum one manager/member.